-The short film ‘G. 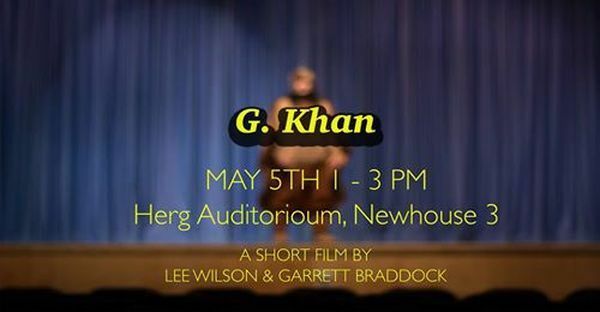 Khan’ by Desolatte Productions will makes it debut at the Herg Auditorium, Newhouse 3 at SYRACUSE UNIVERSITY in Syracuse, NY on Tuesday May 5, 2015 at 3 PM. I play the role of ‘Genghis Khan’ in this. Check out their link to their Twitter page for updates. This entry was posted in ACTING, FILMS and tagged acting, Desolatte Productions, G. Khan, Genghis Khan, Lee Wilson, North Syracuse, NY, short film, su, syracuse university, wayne w johnson, WWJ. Bookmark the permalink.